We knew there was something special about this year’s Allscripts Tobacco Road Marathon champion Bryan Morseman when we found out he had won two marathons two days in a row! We had no idea. Check out his amazing story in Runner’s World that speaks volumes about him as a human being. You just want to shake his hand! Cary, NC – The Tobacco Road Half Marathon Association (TRM) announced today that Feetures!, a leader in performance running socks, is the title sponsor of its March 19th half marathon race. The race is the companion to the Allscripts Tobacco Road Marathon. Both start at 7 a.m. on the same day and share the Carolina pine-lined American Tobacco Trail course. Every runner in both races will receive a pair of Feetures! performance socks at the event’s expo held at the Embassy Suites in Cary, North Carolina March 17 and 18. This year the Feetures! 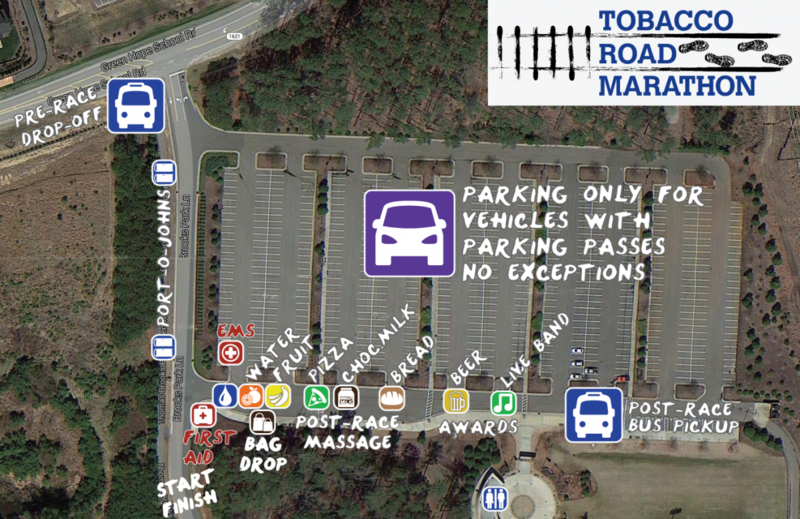 Tobacco Road Half Marathon will be part of the USA Track & Field (USATF) North Carolina championship. The TRM weekend continues to enhance its reputation as a “must do” event for runners. TRM, a homegrown, all-volunteer community celebration, is on track to exceed one million dollars in charitable giving in 2019. It has already contributed $631,000 since its inaugural in 2010. TRM, with its flat, fast course, qualifies 12 percent of runners for the Boston Marathon and in 2014 was named among the top nine best new marathons by Runner’s World Magazine. The USA Track & Field (USATF) certified courses follow the same path for two miles and then diverge. The first two and last two miles are on paved roads – the rest are on the ATT. The runners start from the USA Baseball & Thomas Brooks Park in Cary. The course is devoid of hills and the average high temperature for the date (51 degrees Fahrenheit) delivers an ideal performance environment. All TRM proceeds go to these charities: JDRF, Hope For The Warriors, the The American Red Cross, and the Rails to Trails Conservancy as well as Wake County Parks and Recreation. Feetures! is a family owned and operated company located in North Carolina with the mission to inspire people to live a healthy, active lifestyle. Running a marathon is no easy accomplishment, but now imagine carrying an extra 45lbs for those 26.2 miles, and then do that once a month for a year. James Leitner has been running a marathon a month while carrying 45lbs of water to raise awareness about the long journeys people take every day to find water. The weight of the jug is significant because 45lbs is equal to 5 gallons of water, enough for one person to use for their daily needs. Every race completed helps the Philadelphia-Serengeti Alliance, a nonprofit organization working to improve health, education, and gender equality by providing accessible clean water to rural communities in Tanzania. James started this goal in May 2016 and plans on completing the Tobacco Road Marathon in Cary, NC as his 11th marathon. Completing each marathon has not been an easy task. Some marathons have been in winter and snowed 5in during the race. Others have had 3500ft of elevation gain. Still with dedication and the help from the running community, he has completed each race and is excited for the Tobacco Road Marathon.